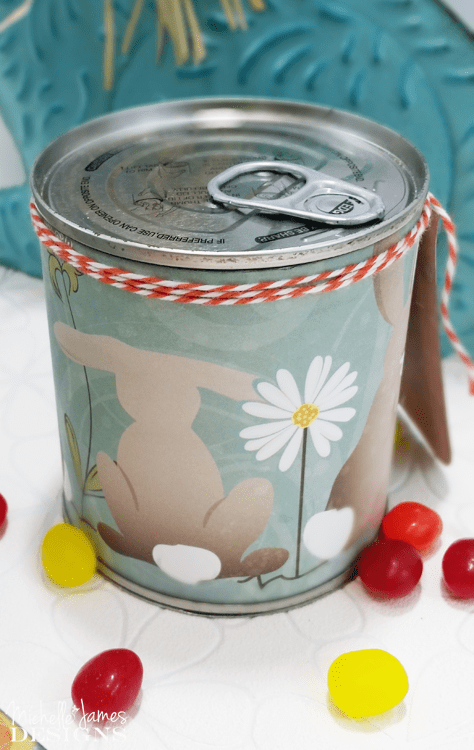 How To Make Gifts In A Can That Everyone Will Love! You guys know that I love to make special gifts for people. It is just fun to give. 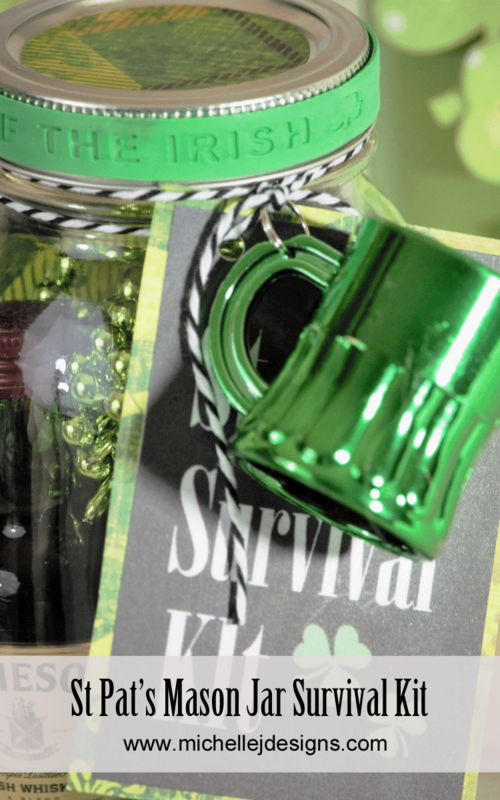 Creating gift packaging is fun and I love to use things like Mason Jars, other glass jars and I am now I love these gifts in a can. 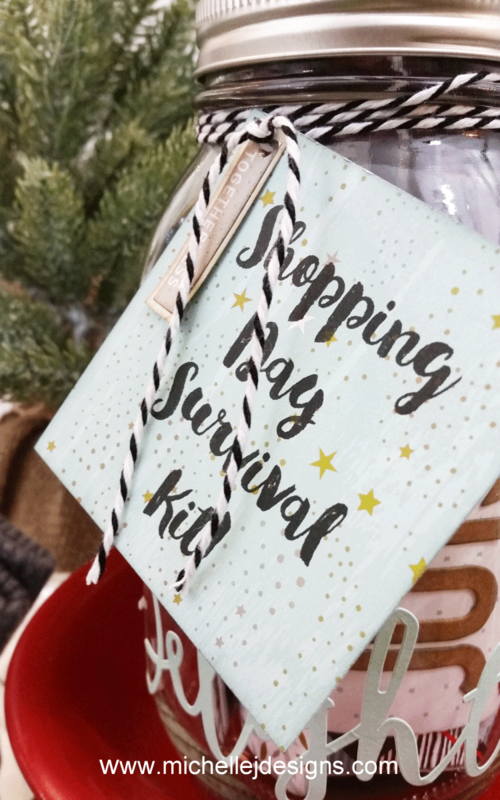 These ideas are more fun than traditional gift wrap and bags and many times are cheaper than the regular packaging. So gifts in a can that are budget friendly? Heck yes!! These are always such a blast because people don’t know how on earth you got these gifts inside the can without popping the top! They figure it out but it is a mystery at first! 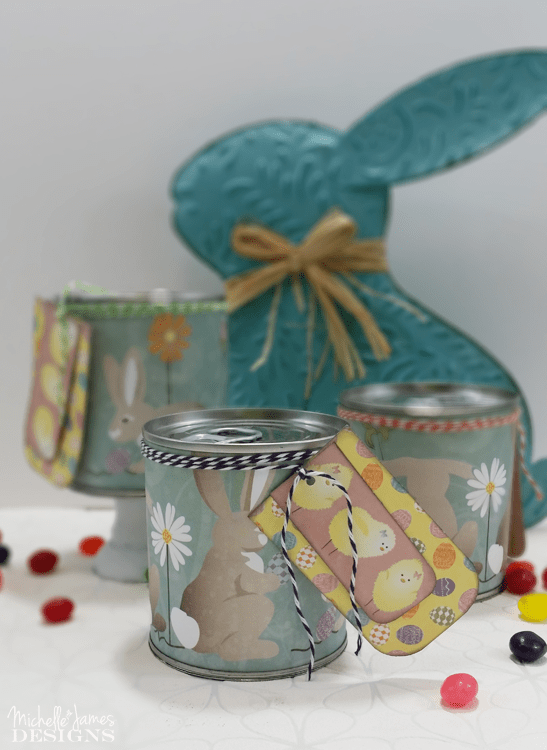 And these tin cans with the pop tops come in many different sizes so usually finding one to fit your small gift isn’t a problem. Okay are you ready to get started? Let’s go! Hole Punch – this is my favorite hole punch. It can punch thick or several pieces of card stock and cardboard. Things to put inside the can. 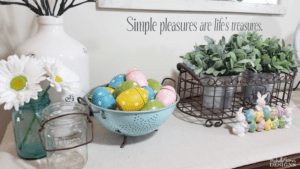 Mine is all Easter Candy this time. 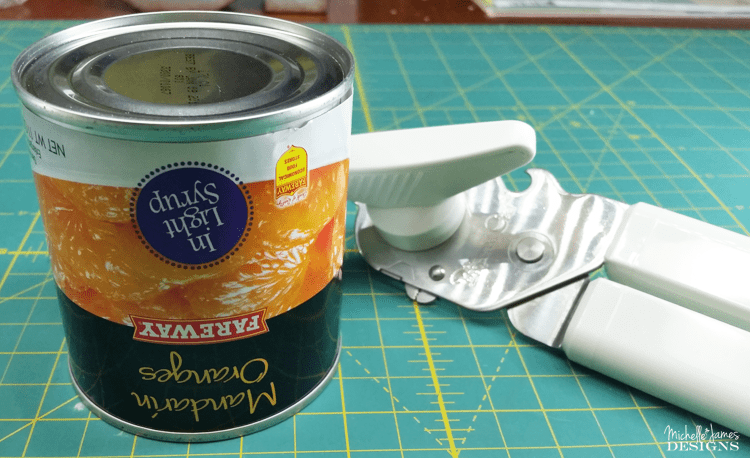 Use the can opener and open the bottom of the can! Do not pop the top at all! 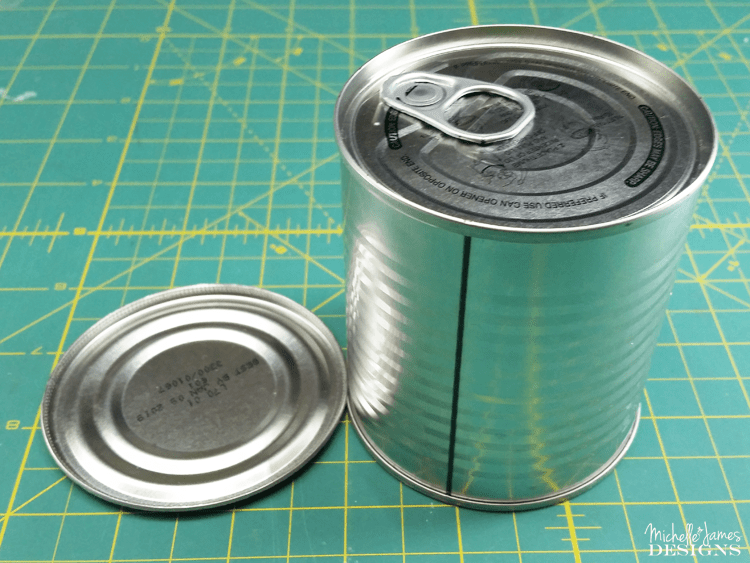 Empty the contents of the can into a bowl for later, remove the label and wash and dry the can thoroughly. You don’t want your gifts to smell like oranges or whatever was in there, right? 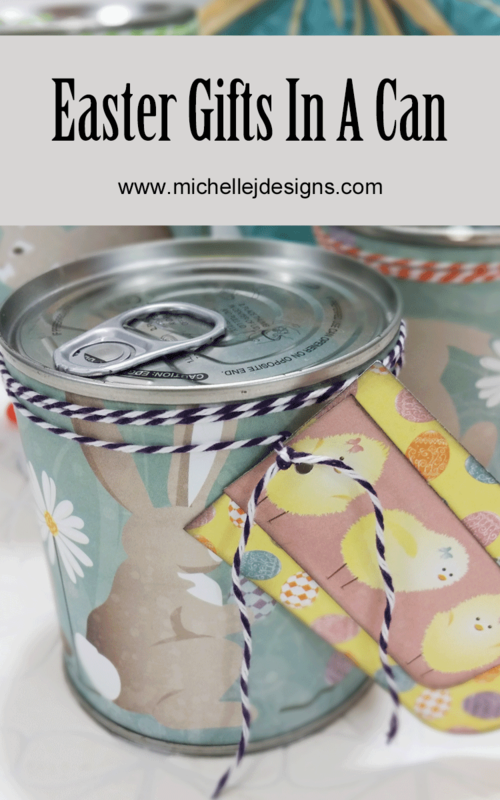 Cut a strip of paper wide enough to cover from top to bottom and long enough to wrap around the can. 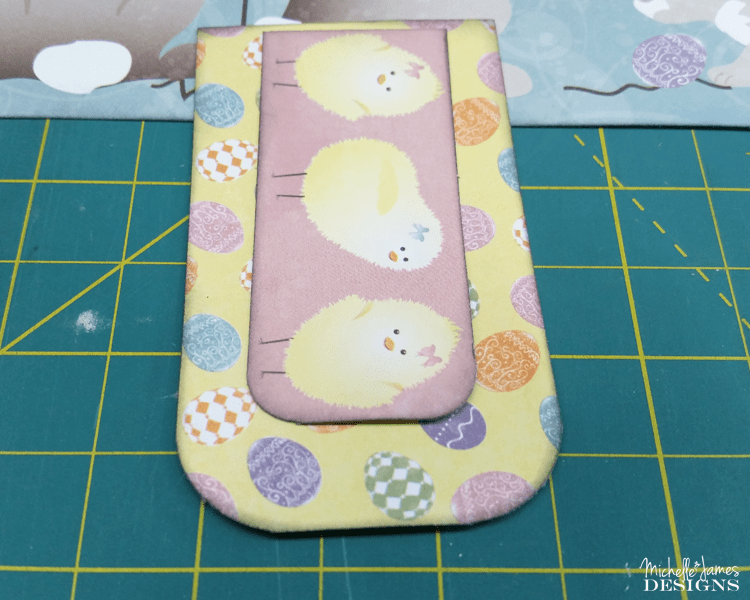 In my case, the bunny paper needed to be 3 inches wide and about 10.5 inches long. This gave me a nice overlap to glue. I also cut pieces for a tag. 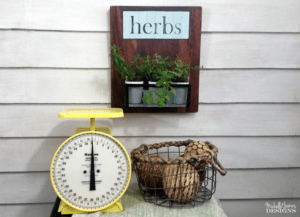 You could use a fun sticker or a chalkboard tag, whatever you like. I am in love with this paper with the bunny border. It was perfect for this! I also used my favorite Powder Puff ink to ink the edges of all of the pieces. Adhere the long strip of paper to the can. I place some adhesive at both ends of the wrong side of the paper and wrapped it around. Be sure to get it right side up! I almost put it on upside down. Ooops! You are almost done. I wrapped some of the baker’s twine several times around the top, punched a hole in the tag pieces then tied it onto the side of the can. Filling them up is the next step and the fun part. Remember to put the contents in from top to bottom. I started some smaller pieces of candy, then added a plastic egg with jelly beans and placed some candy around the egg. 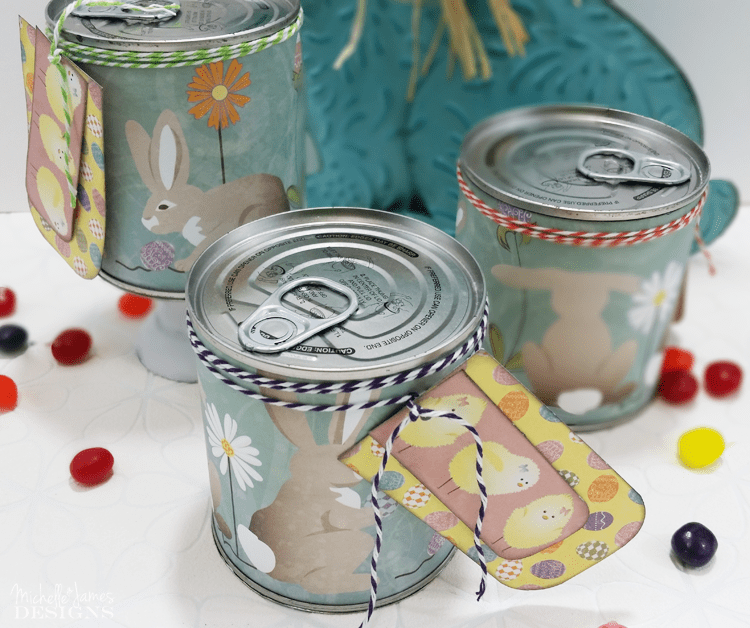 Then the Easter Grass at the top, or bottom of the can! 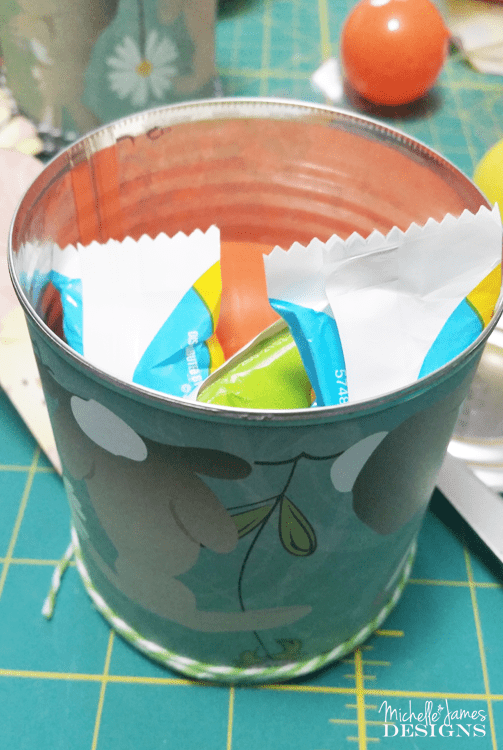 Be sure all of the stuffing is inside the can and not sticking out and super glue the bottom back on! 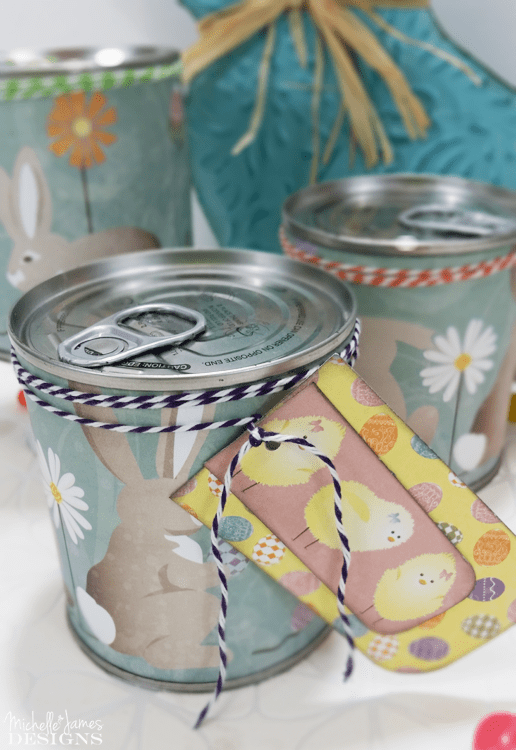 You are done and you have just created the cutest, little gift in a can! I think they turned out cute. They are for my grown kids. LOL! 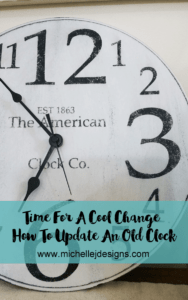 They still like to receive a fun gift for any occasion and I still like to give them something. 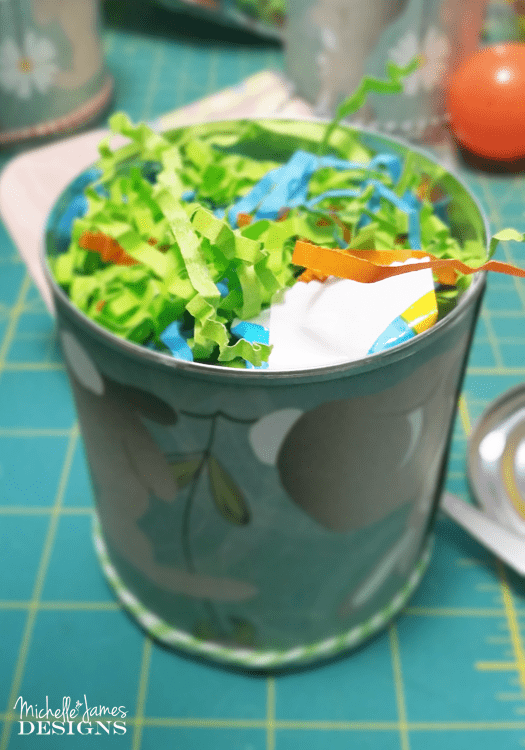 I hope you enjoyed this little tutorial about making a gift in a can. Have a great day and thanks for stopping by! 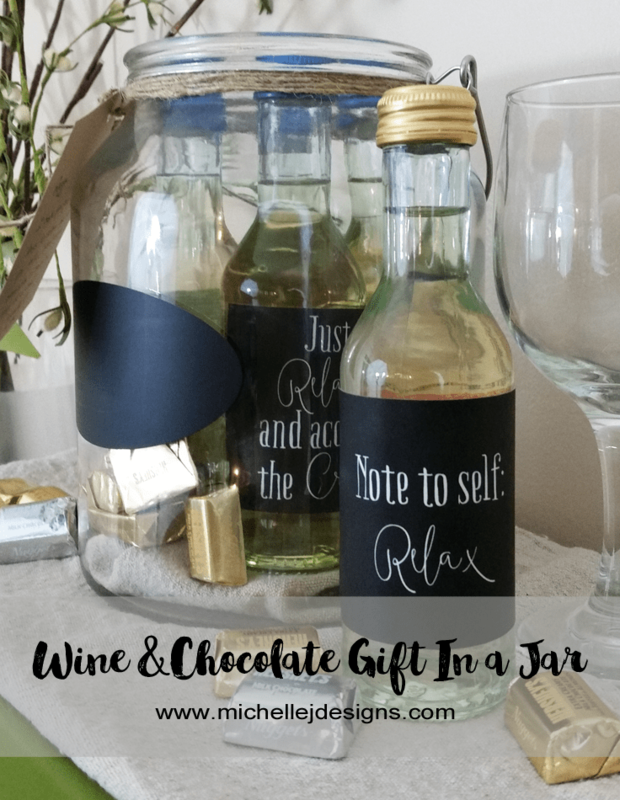 If you like fun gift ideas, check out these posts too! This is a favorite technique! It’s a sneaky way to gift wrap, and of course, you chose the cutest paper ever! Hi. I really love this paper. 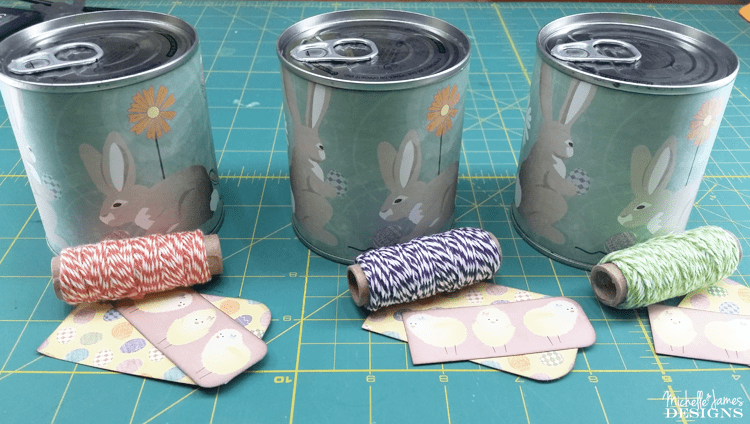 It was so perfect for these gift cans. Thanks! Most of your crafts are so inspiring. I think this one should be famous in a magazine layout or on TV. I won’t soon forget it. That is a huge compliment Sue. Thanks so much. I doubt that will happen anytime soon but a person can dream, right? Thanks. It is fun and they always figure it out but the look on their faces at first is the best. Have fun with it!